So before we get to the elimination of “Cake Wars” host and “Mean Girls” actor, Jonathan Bennett, we have to discuss Anthony “The Mooch” Scaramucci. The biggest twist of the season came early in Friday’s episode. It was revealed that Donald Trump’s short-lived Director of Communications was not – in fact – an actual house guest. Um, come again? Yes, “The Mooch” was not a real house guest. He was planted by the show to…I’m not quite sure what? He’s been a weird dude, and a bit socially (and physically) awkward. However, we now know why he’s had some strange outbursts. Apparently, he was setting up his very own Mooch-themed POV competition. The second part of this twist was that this would be a SECOND POV competition this week. In some ways, I’m glad Scaramucci is off the show. Regardless of where you stand, I don’t quite think that politics and Celebrity Big Brother mix…Celebrity Big Brother is a total escape and cheesy fun, and something that fans of both political parties can watch as a guilty pleasure. That’s why I thought Scaramucci was an odd pick to begin with. And after watching him through the first few episodes, it’s clear that he wasn’t going to win. He did not have the social acumen to really even be a factor in the game. I guess that his weird “one-liners” were all part of a plot to set-up his POV. Still, that doesn’t explain away his other oddities. 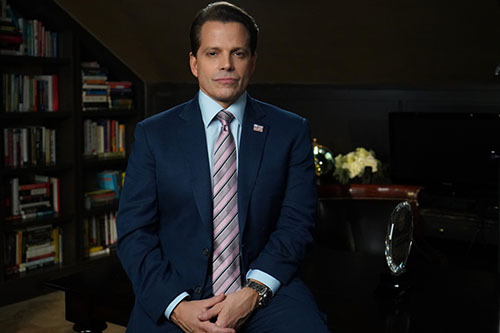 When we first learned that “The Mooch” was off the show, I thought that maybe CBS had concocted this entire thing to explain away the fact that Anthony might have quit the show, but the elaborate POV set proves that this was, indeed, part of the plan from the get-go. So why, exactly, did Celebrity Big Brother do this? Clearly, it was for PR, including Scaramucci as a house guest was one of the most note-worthy inclusions of the initial cast announcement. Mid-week the live feeds revealed that he was out of the house. Then, he was later spotted at a speaking engagement overseas. This was an event on his schedule long before his time in the Celebrity Big Brother house was announced. This should have been a clue. But “The Mooch” is now gone, and really, the house and this game are better for it. In the end, it didn’t quite matter that there were two POVs. Jonathan’s time in the house was coming to a close regardless. He is one of those players that either will be voted out first (as he was) or that can win the game. Jonathan seemed more knowledgeable about the game than anyone else. When you’re making early assessments of your fellow cast mates, that’s never good. He also admittedly was striking deals with everybody in the house, which also can be deadly if not handled the right way. But despite all of this, his real downfall was in not continuing to foster his relationships with the other members of his newly-formed alliance. Outside of Ryan Lochte, Jonathan did little to make some of the women feel comfortable, other than awkwardly check in on them from time to time. Ironically enough, this made him appear even more sketch. While, he was a great character and one of the stand-outs of this cast, it is most-likely universally agreed-upon that he was the most dangerous player in the house. Thus, a fantastic selection for the first boot. 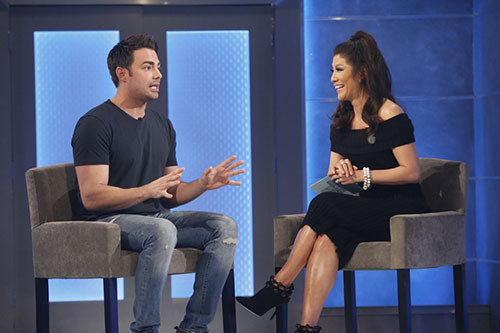 RELATED: Celebrity Big Brother Season 2 Premiere Recap: Expect The Unexpected! There may not have been a bigger boneheaded move on a Reality TV competition show more egregious than when Natalie Eva Marie started openly talking about her Final Two deal with Lolo Jones…right in front of Tamar Braxton. 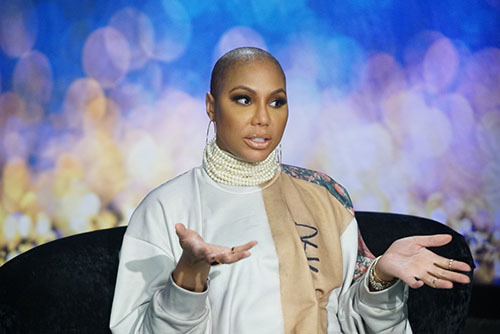 I thought Tamar handled this well, but that just shows you some serious carelessness on Natalie’s part, to the point where it could very much so come back to haunt her. Lolo too, didn’t do herself any favors by calling out Jonathan and Ryan, proceeding to then flick-off their wall photos. That makes me worry for the Natalie-Lolo pairing. What Tamar didn’t exactly handle all that well was her past beef with Kandi Burruss. Watching it play out, it appeared to me that Kandi was a bit more interested in squashing whatever the heck happened prior to Celebrity Big Brother. Then again, not I nor you know exactly what went down. Maybe Tamar has every right to feel the way she does about Kandi? Maybe the situation does require the two of them to hash it out? The bigger question is whether or not the two will be able to move past it and play this game together. One thing they have going for them though is the longer they even appear to be feuding with one another, the more it helps both of their games. Like, everyone knows they know each other outside the game. Is it really in their best interest to make up and become super-friends? Whether or not they really do, it’d be smart to keep the optics looking like they’re at each other’s throats. Scanning the rest of the house, it appears Tom Green is going to be in long-term trouble, without any real ally other than Kato Kaelin, who just seems too goofy and aloof to make much of an impact in this game. Green spent some time on the block and was removed by Kato after he won POV. So, the others now see that they have some sort of a connection. But both of them being on the outside of the larger alliances in the house, I don’t think it bodes well for either of them. And how useless is Joey Lawrence so far? OK maybe that’s a bit harsh, but his whole “I don’t even want to say the word, ‘alliance,'” bit just really did him in. The good news about that strategy is that nobody will see him as being a threat because they know he isn’t part of any larger alliance. While this might be a good strategy to go deep in a game, it is not a winning strategy. Unless Joey “blossoms” into a more-aware player, he has no chance. And is Dina Lohan even on the show? I hope we get to see a bit more of her in the coming barrage of episodes. That leaves us with Ricky Williams, who we didn’t see much of either, but who did win a comp (POV) and showed us a devious side (wanting to “stir the pot” by spilling the beans about the boys alliance to the girls). Ricky is an interesting one, but he needs to keep his competitive nature in check. If he wins another comp, he’ll be an instant target. But as for now, he’s sneaky, because he’s well-liked, a super-fan of the show, and also showed an ability to shake things up…doing all this while remaining comfortably under-the-radar. Week 1 Take-Away: We’re only one week in but now just about one-third of the way through this game! Things will move quickly. Now that we’ve seen a bit more of the dynamics at play in the house, I feel like we’re in for an interesting season. And that’s not even counting the numerous twists that I’m sure will be introduced at a steady pace over the next few eps! Quick Note! I appreciate that you are reading this recap! With the barrage of episodes coming our way, there won’t be a recap following EVERY episode of Celebrity Big Brother. However, you CAN expect a new article following each elimination episode this season. As Julie described Friday, the next new episode is Sunday night, with new episodes following on Monday, Wednesday and Saturday this coming week! The best way to stay in touch and make sure you aren’t missing anything is to follow me on Twitter – @tomsantilli – or on Facebook. Those that have followed me also know that I am a RottenTomatoes-approved film critic, and I encourage you to check out my weekly movie reviews as I am also the national film critic for AXS.com and am a movie critic/TV personality in the Detroit area. We will be back following the next elimination episode! Thanks for joining me this season, now let’s talk Celebrity Big Brother! TELL US – WHAT DID YOU THINK OF CELEBRITY BIG BROTHER THROUGH ITS FIRST FOUR EPISODES? 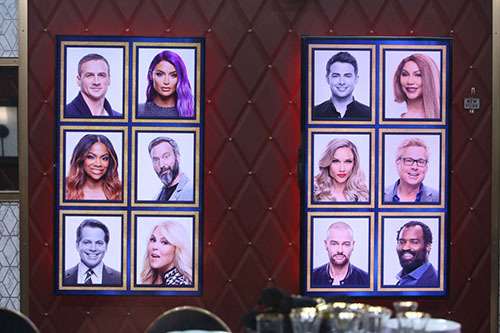 WHO ARE YOU ROOTING FOR TO WIN CELEBRITY BIG BROTHER? WHO ARE YOU ROOTING AGAINST?